Steelers’ players and their families hit the runway at Stage AE on Friday night at Rock Steelers Style, the team’s annual fashion show. The players showed off their signature style, a nod to the theme of ‘A Signature Night,’ from game day attire to formal wear, and everything in between. 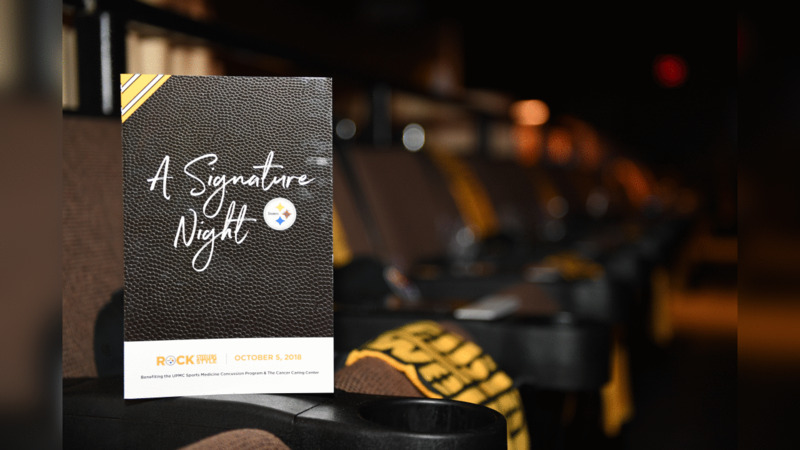 The fun-filled evening began with red carpet arrivals, a style lounge where guests could get a signature Terrible Towel, enjoy entertainment, as well as see all of the latest Steelers fashions. The show, which was chaired by Art and Greta Rooney and Mike and Kiya Tomlin, might seem like it's just about fashion, but there is a far deeper meaning. 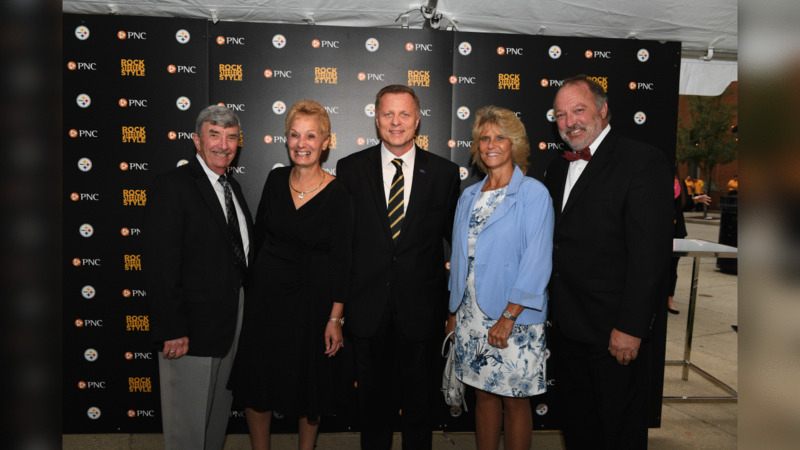 All proceeds benefited the UPMC Sports Medicine Concussion Program and the Cancer Caring Center, two charities that have a long relationship with the Steelers. Race car legend Dale Earnhardt Jr. and Dr. Micky Collins spoke about the work done by the UPMC Sports Medicine Concussion Program, while James Conner and Dr. Stanley Marks shared the work done by the Cancer Caring Center. Photos from Rock Steelers Style 2018: A Signature Night at Stage AE. The main attraction, though, was the players on the runway and they definitely dressed to impress. “There are a lot of players that have a lot of fashion sense, so that makes this a fun event,” said Joe Haden, a first-time participant. “I think Antonio (Brown) is a good dresser. Coty (Sensabaugh) does a great job. I would like to put myself in there. While Haden might have sung the praises of the ‘smaller’ guys, Foster was all about big man swag. “It is real,” said Foster. “We don’t get enough credit for that. It’s always good to put that on display. The show kicked off with the Kiya Tomlin’s new Game Day Collection, featuring the players’ wives and significant others. The ladies wore some of the hottest items from the collection, including dusters, ponchos, helmet scarf, classic sweatshirt and game day hoodie. It was then time to go retro, with the show celebrating the 40th anniversary of the Super Bowl XIII team from 1978 featuring Franco Harris and Mel Blount, and the 10th anniversary of the Super Bowl XLIII team from 2008 featuring Ben Roethlisberger and Santonio Holmes. And then, the players took the stage with their signature style, including fashions from MODA, Outerstuff, Littles Shoes and the Steelers Pro Shop. Pittsburgh’s own Gabby Barrett, a finalist on American Idol this year, energized the crowd with her performance of the Journey classic “Don’t Stop Believing" and Shania Twain's "Man! I Feel Like a Woman," while the Pittsburgh Poison King Cobras hip hop dancers performed along with Mike and Kiya Tomlin’s daughter Harley in one segment, and wide receiver Tevin Jones surprising everyone performing with them in another segment. The University of Pittsburgh Dance Team and the Pittsburgh Ballet Theatre also wowed the crowd. But most of all, it was the players who wowed the crowd. In the finale rookies were styled by Tuxedo Junction, T.J. Watt and B.J. Finney wore custom suits by Surmesur, and others showing off their personal style with designs from their own wardrobes. Mission accomplished, with a lot of signature style. Photos from the Red Carpet at Rock Steelers Style 2018: A Signature Night.